This kit includes all of the parts needed to build the GuitarPCB Muff’n project with component values based on the Big Muff Pi™ Triangle variant. The Triangle version is one of the most popular iterations of this legendary circuit. The circuit board features PCB-mounted potentiometers, reducing wiring burden. This kit includes all of the parts required to make the “standard” build as described in the build document, which includes 2 clipping options. This kit comes with a 125B enclosure and Davies 1510-style knobs. All of our kits include a jack for a DC power adapter but no battery snap. If you wish to add a battery snap, please add a battery snap kit to your cart in addition to the pedal kit. Please see “What is provided in a kit?” in our FAQ for more details of what is included and what you will need to provide to complete the project. Big Muff Pi™ is a trademark of ElectroHarmonix®. 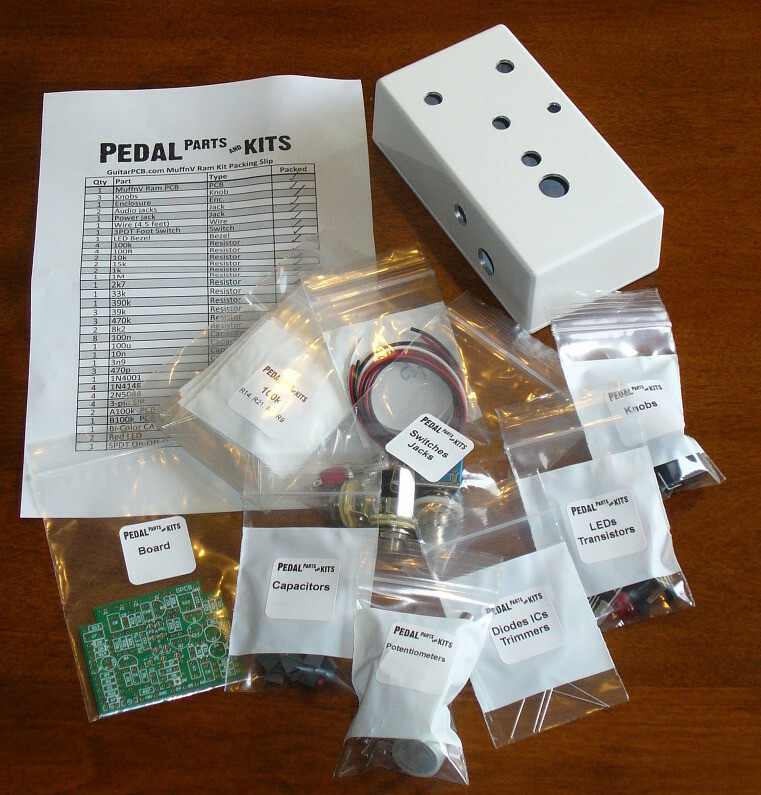 Pedal Parts and Kits is not associated with and makes no claims to these trademarks. See our FAQ for more details.